Quite often, I am asked to show more details and to expand on how I work. I’ve been thinking a lot about this subject and wondering how to respond to these requests. In this post, I will explain how I choose when and when not to tell how I make things. 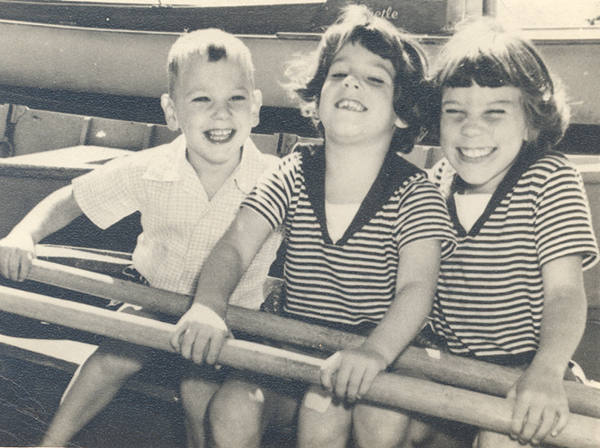 But first, I want to say it’s my birthday today and my sister Anne’s, too. 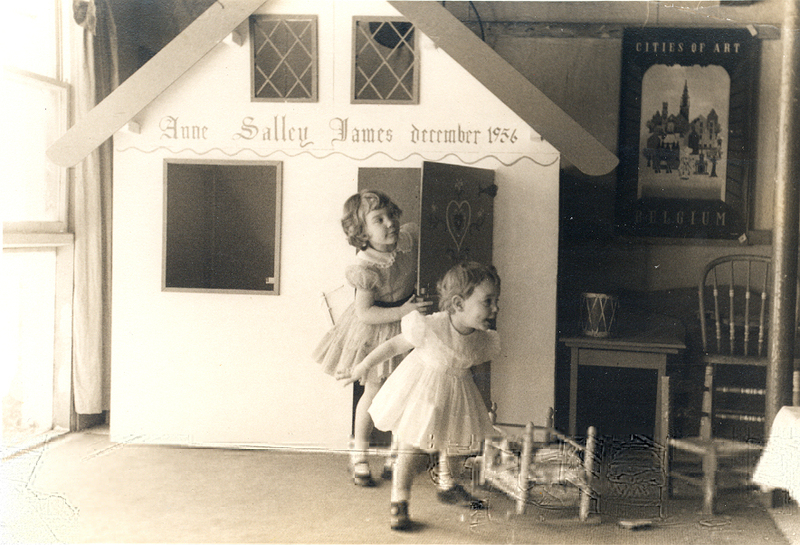 60 years ago, my mother’s water broke while she was making a bunny cake for Anne’s 3rd birthday. So, she went to a hospital in Boston and had me. 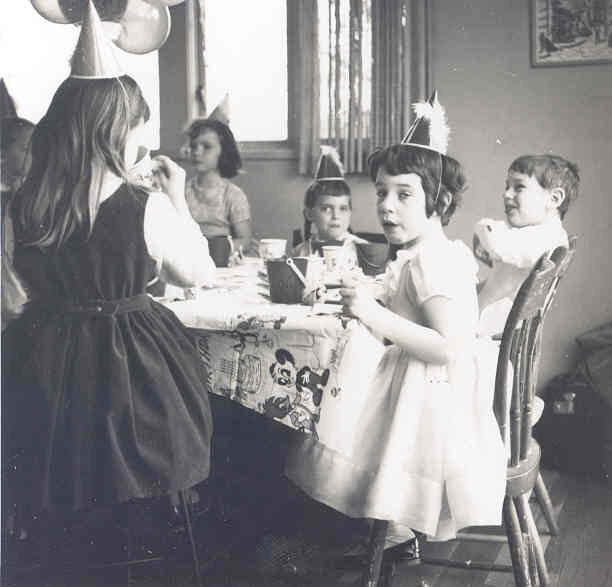 Needless to say there was no birthday party for Anne that year. So, I can’t think of my birthday without thinking of Anne. When we were young, we had joint parties, but nowadays we rarely spend our birthday together, as we live on opposite coasts. Growing up, we spent a lot of time making things and my most vivid memories are about creating art, making music and dancing. Today, Anne and I are both artists, bringing our own visions into the world. 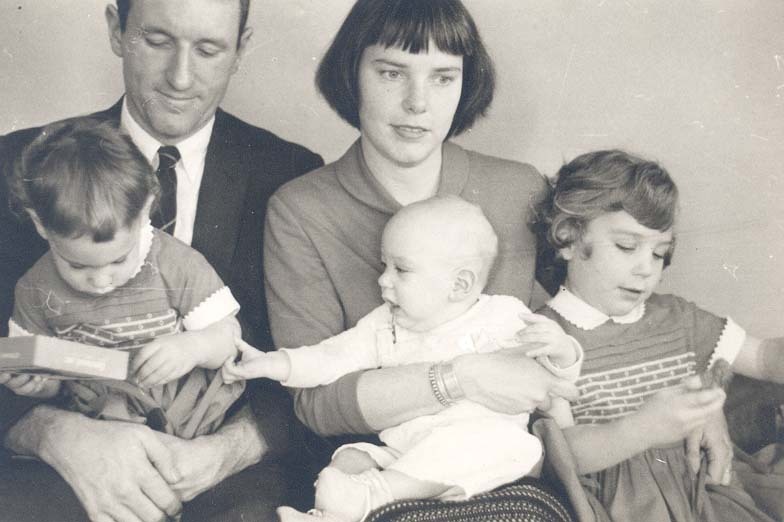 Turning 60 has emboldened me to share some thoughts I’ve been mulling over. As I’ve grown older, I can see more clearly what works in my life and what doesn’t. I try to remember to do what makes me feel whole and alive and to not feel obligated to do everything I’m asked or expected to do. And since a big measure of my well-being comes from making art, I want to set things up so I can continue to develop my art form for as long as possible. I could stay cordoned off in my studio, shielded from the distractions of the world and the internet and thereby turn out a higher number of pieces. But, I enjoy communicating with the larger world through this blog, Facebook and Instagram. It take’s up A LOT of time, so I have to find a balance. 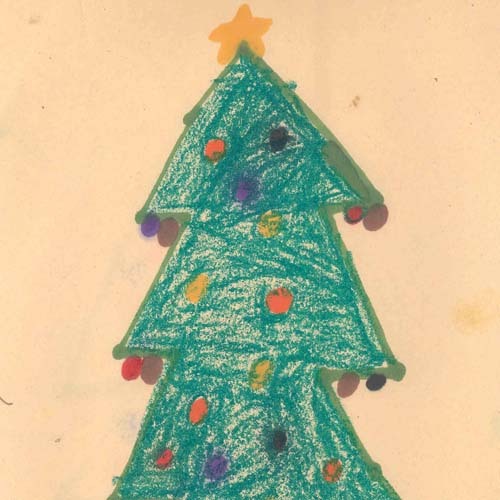 Interestingly, in terms of artistic output, I was much more prolific before the internet, even with little kids around! When you’re connected like this and the pool of people gets larger, more questions, requests and suggestions come forth. The kind of people who follow me are wonderful and gracious. You are so appreciative when I share behind the scenes photos, especially process close-ups. Your encouragement to keep doing what I’m doing has made a big difference in my life. Your excitement comes through in your comments and it makes me happy! So, why do I describe how to make some things and not others? I’ll get to that eventually, but please indulge me a little bit longer, just because it’s my birthday! I also want to address the issue of how embroidery and handwork has been and is still, for the most part, perceived today. 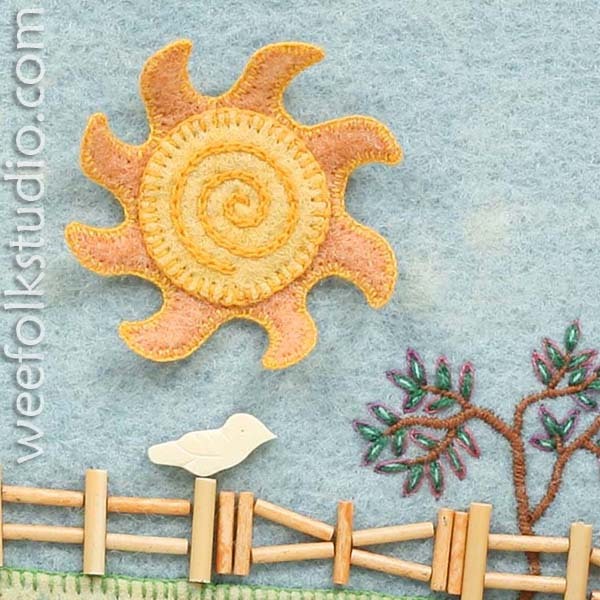 Besides being designated as “women’s handiwork”, needlework has a strong tradition of teaching and learning through imitation, with instructions and patterns aplenty. Today, a vast needlecraft industry is built around this technique driven culture of copying, with businesses supplying materials, equipment, tools, patterns and kits for stitchers, knitters and quilters of all kinds. I realize that people need a place to start and they derive great satisfaction from being guided through the process. 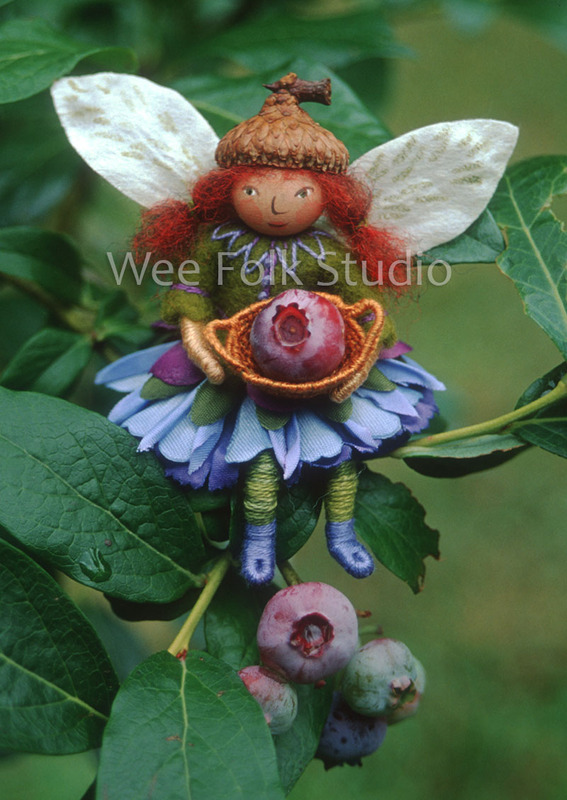 That is why I used to make kits and have written how-to books about making dolls (Felt Wee Folk). My goal is to show the basic framework, with a variety of possibilities, so that the reader can gain the confidence to add more personal touches and create something that is uniquely their own. I want to share my techniques for making the dolls, which I see as a much-needed opening for people to play and express themselves. 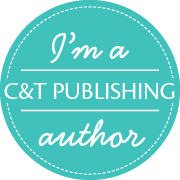 Even though the mainstream needlework network doesn’t mesh with what I do, I am a part of it because I’ve authored how-to books, which are marketed within this world. But other than that, I operate in a different needle and thread universe. This is not surprising, since my work is generally an anomaly in any group I’m lumped into; embroidery, stumpwork, dolls, art quilts, miniatures, fiber art, children books, etc. The narrative and decorative style of my fabric relief pieces doesn’t really fit into the abstract, conceptual contemporary fiber art scene. 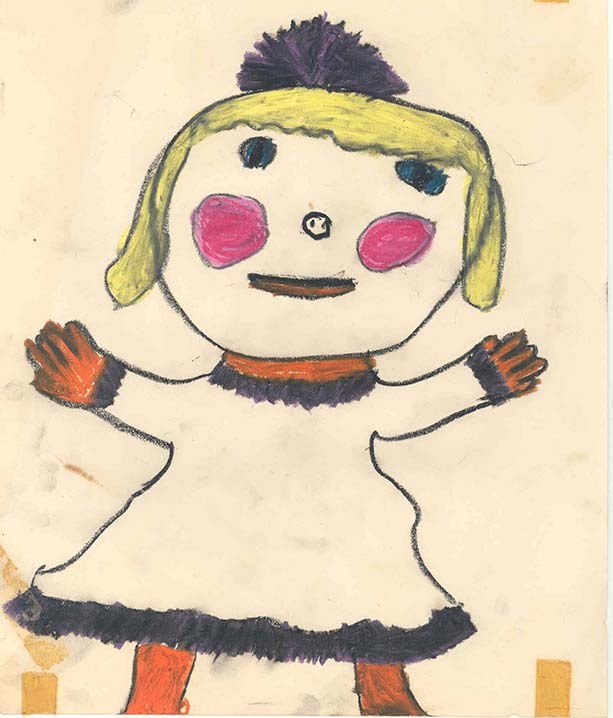 And I suppose that writing the Felt Wee Folk books opened me up to being characterized as only a teacher of doll making techniques. 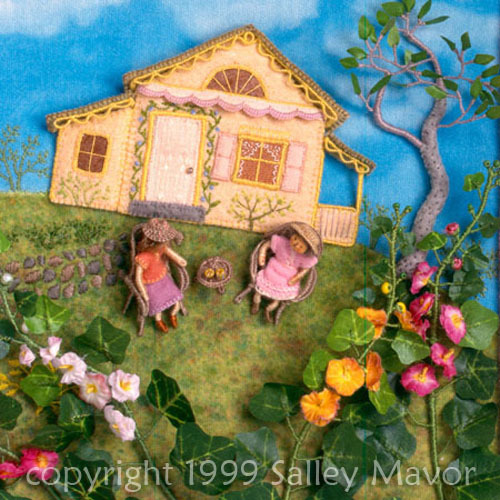 Showing how to make these “cute” dolls, illustrating story books and organizing fairy house exhibits may have compromised my status in the serious art world, but knowing my work has touched many lives is of more value to me personally. I identify myself as an artist first and foremost. To me, it doesn’t matter what medium or materials you use for your work to be considered art. Not today, in an art world that recognizes all manner of expressions. Not in this age of the internet, where individuals can build careers and gain followers, despite the hierarchy of the art establishment and opinions of curators and critics. 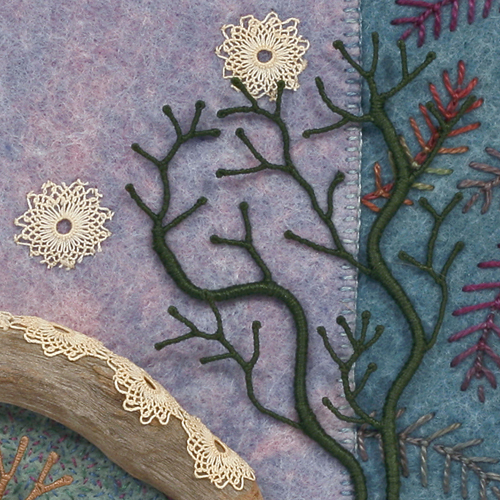 I don’t want to be the kind of “serious” artist who, in an effort to have their work recognized as legitimate, dissociates themselves from the world of hobby needlework. 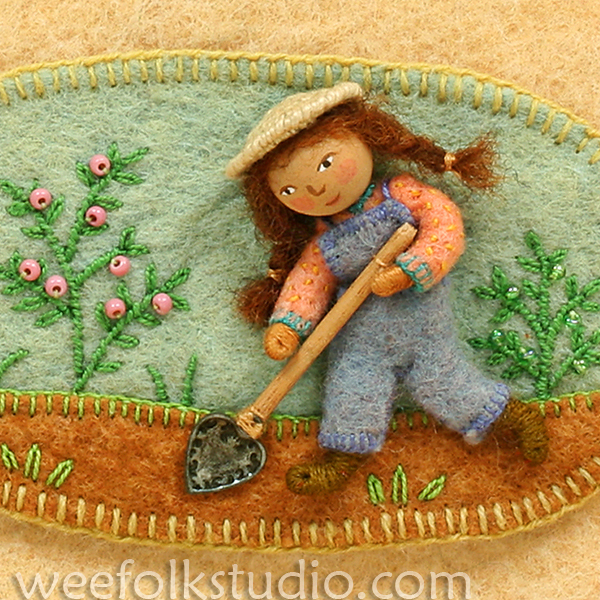 There is too much real humanity and power in stitched objects that are labored over so lovingly. Just read the comments in last week’s Give-away post to understand the meaning and importance we give to making something by hand for another person. Your stories are so touching and life-affirming! 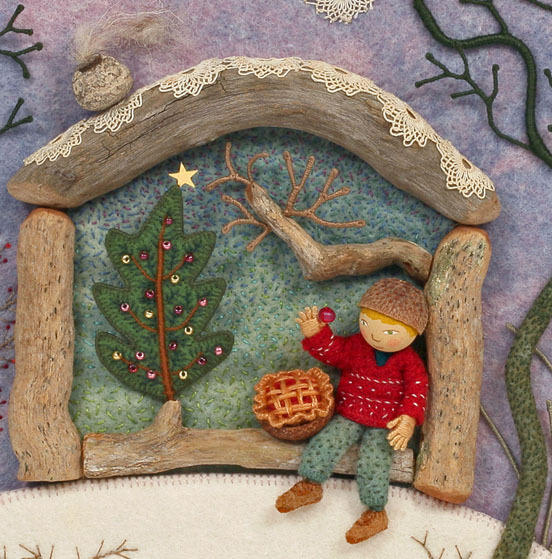 But, where does the artist who creates original work with needle and thread fit into the imitation model engrained in and perpetuated by the needlecraft industry? In order to explore new concepts and ideas, I have found it necessary to educate the public and protect myself from misconceptions about my work. For instance, people ask (not once, but many times) if I have a pattern to make Birds of Beebe Woods. 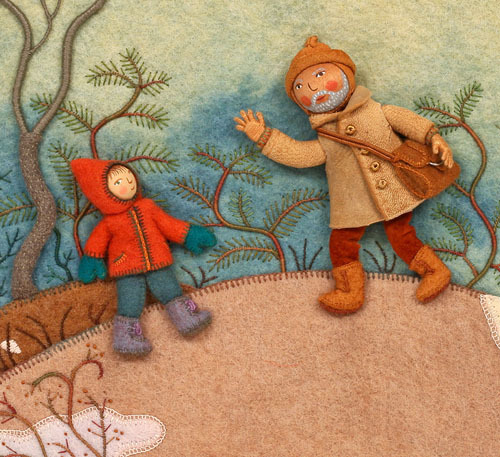 Others want directions for making illustrations from Pocketful of Posies. And I am constantly asked how I make the little hands with fingers. I can understand asking about the hands, but the idea of providing patterns for my larger fabric relief pieces and illustrations has me totally baffled. 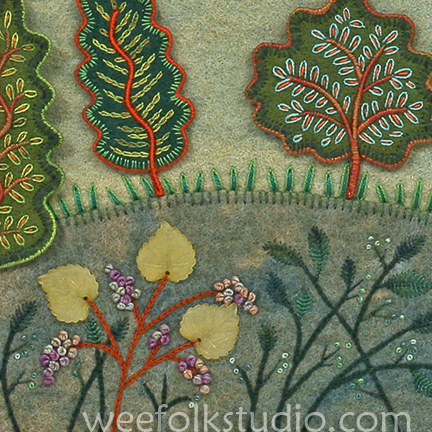 I think that artists working in other mediums would be equally taken aback if asked for patterns and instructions. 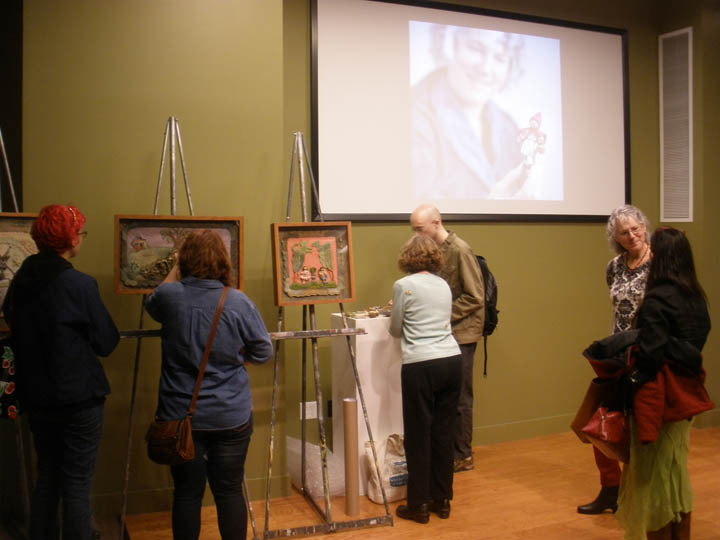 With needlework, the distinction between art and craft is particularly fuzzy (no pun intended). That subject will still be discussed and debated long after I’ve threaded my last needle. For me, it points to the question of when to tell how and when not to. I am not worried about individuals copying my techniques, I just don’t want to spend my time and energy telling how I do it — time and energy that would otherwise go toward artistic growth. I find reviewing and explaining in detail the process of making something I’ve lived and struggled with for months like sliding backward into the muck, hindering any movement forward. My children’s book illustrations and stand-alone pieces are much more involved and complicated than what I teach in Felt Wee Folk. Through 40 years of experimentation, I have devised methods of working that I consider proprietary knowledge. For instance, the way I make hands with little fingers is too linked to my personal artistic expression to show how in detail. I don’t want to upset the creative process by constantly organizing the steps in my mind and thinking in terms of explaining it to another. That would hold me back and limit the possibilities. I think the act of creating something new shouldn’t be overly dissected, else it lose its magic. As an artist, I draw the line on what parts of my process to share and what parts I want to remain a mystery, even to myself. People wonder how I can give away “all of my secrets”, but I don’t look at it that way. In Felt Wee Folk, I’ve simplified some doll making techniques to a point where I can teach them step by step. Nonetheless, I won’t be writing any more how-to books or teaching classes. But, I will share projects in progress, thoughts, inspirations, travels, and give glimpses behind the scene. My sketchbook is brimming with ideas and I intend to devote as much time as I can to making new work. This blog is full of photos that show the development of projects. What is shown and what is not usually depends on how engrossed I am and if I can remember to take pictures. Sometimes I take photos of different stages of making a piece, but that just skims the surface and may be perceived is a tease of sorts. I see it as documentation, not as a tutorial, which takes a different, more systematic approach. My husband Rob and I sometimes document with video, which we did for my outdoor environmental piece, Hither and Yon. So, the simple explanation is that I show what I’m willing to share and don’t show what I’m not. I hope that I’ve explained my position on when to tell and when not to in a way you can understand. It mostly comes down to one’s personal preference and when you’re 60, you get to decide. Even though there’s no denying that I’m a grown up now, I’m still going to play with dolls! 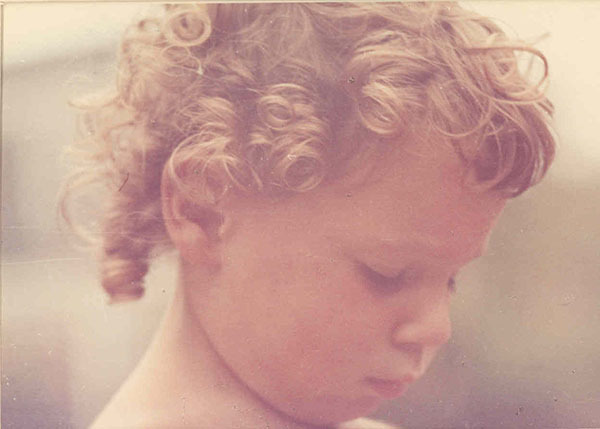 Thank you for reading my birthday musings all the way to this point. For now, I will continue to offer glimpses into my world through the wonders of social media. For the past few weeks, many of you have followed along on Instagram and Facebook, while I construct a fairy house for this summer’s exhibit (June 28 – Aug. 31, 2015), the Fairy Houses of Highfield Hall in Falmouth MA. 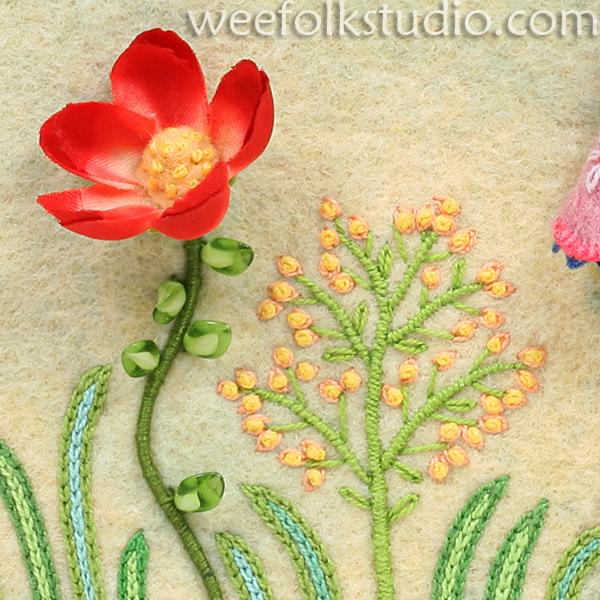 There will be many more needle and thread adventures ahead, so please come along on the journey! Updated on April 19th — Thank you so much for your supportive comments. Some of you may have gotten the impression that I do not want to give directions because I don’t want others to copy what I’m doing. That is not my concern. It’s OK with me if people make work that is similar to and inspired by mine, as long as they have the experience of figuring it out themselves and they make it their own. I’m more interested in protecting my creative process, so that I can keep my muse alive and focus on growing as an artist. Today is the Spring Equinox! 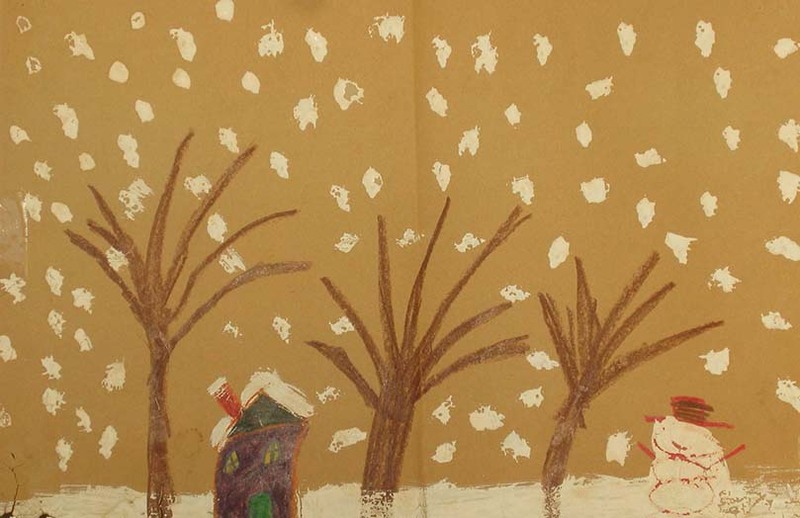 Let’s celebrate the coming of warmth and the promise of the growing season. 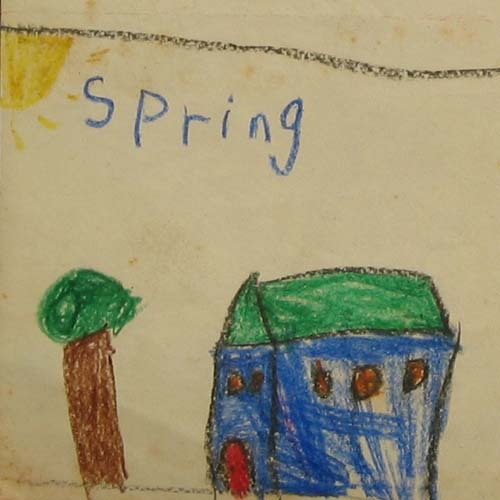 Here are some spring-inspired closeups of my artwork, starting with a house and tree, which I guess is from the first grade. 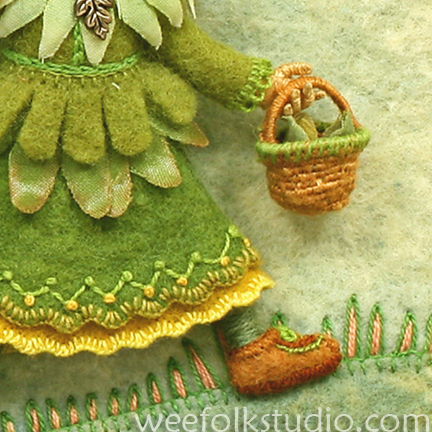 Skip 50 years, to a group of details from some nursery rhyme illustrations in Pocketful of Posies. If you have the book, you can look carefully and pick them out. 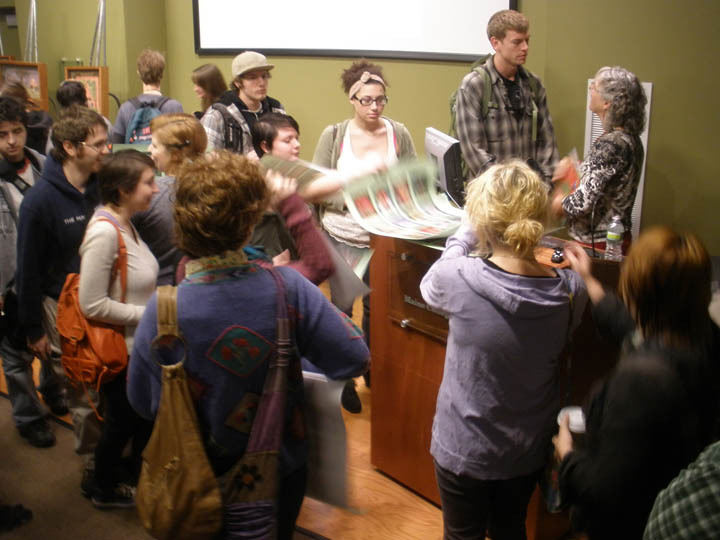 Last week, I had a wonderful visit to the Maine College of Art in Portland. Illustration faculty member, Jamie Hogan and I met at a conference last spring and she invited me to come and talk to a group of illustration majors. 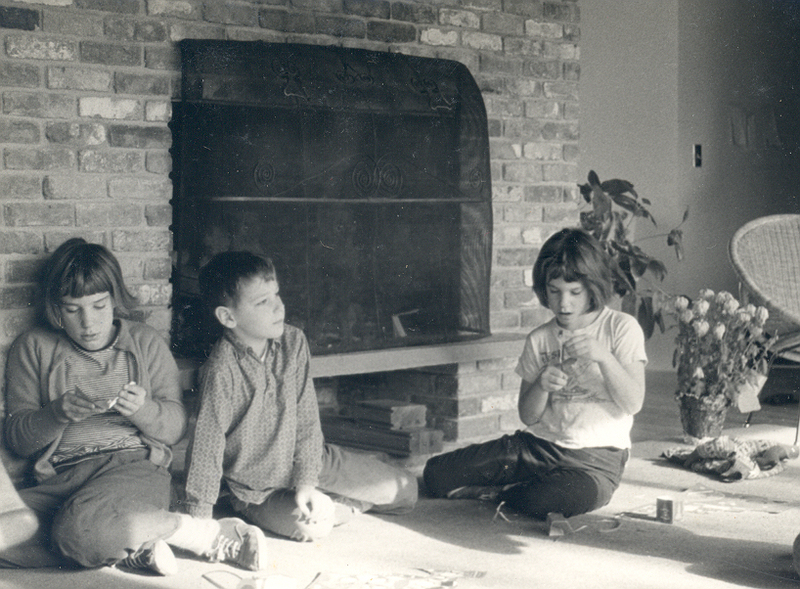 Our time at RISD in the 70’s overlapped a bit, but since we weren’t in the same classes, we never knew each other. My husband and I also fit in a short visit with our son Ian, who is a painting major at MECA. In preparation, I tried to remember what kind of things I would have appreciated hearing about at their age and changed my usual slide presentation, gearing it to a younger art student audience. 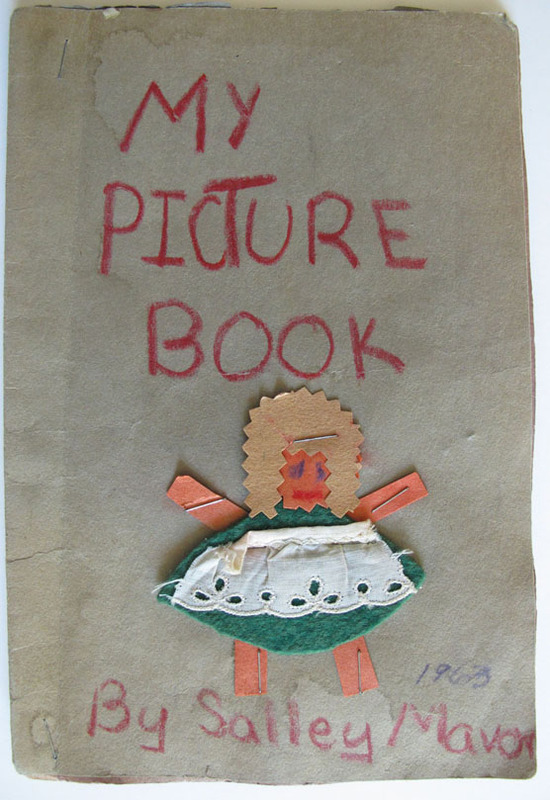 I started by showing the students my first book, made at age 8, and then progressed to projects I’m working on today. Sharing stories of failures as well as successes, I described my journey to find and express my own personal artistic vision. I encouraged them to discover their own unique way as well. I emphasized the value of an art education, no matter where it leads, and predicted that their time at school will benefit them in ways that they may not see until much later. The skills they are learning are basic to our human experience, because they are being challenged to look carefully at what they see, solve problems imaginatively, and to learn how to create something new. This is a special time, when students are surrounded by a supportive community that believes in the power of art. We’ve all heard the opinion that art is unnecessary and impractical in today’s harsh world, so I think spending time with other motivated artists is essential. I told them about people I meet who are skilled technically, but lack the confidence to create original designs. Many are mature women who copy patterns and faithfully follow directions, always coloring inside the lines, so to speak. 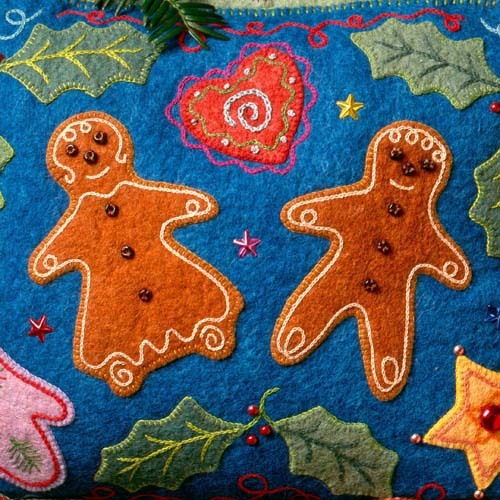 In a lot of ways, needlework traditions have been kept alive through this culture of imitation. For many, this is a comfortable and peaceful way to spend time. Others want to break out and do original work, but are struggling to find a way. Technique can be perfected through hours and hours of practice, but creating something new takes a sophisticated understanding of design, color and composition–the principles of which one can learn in art school. 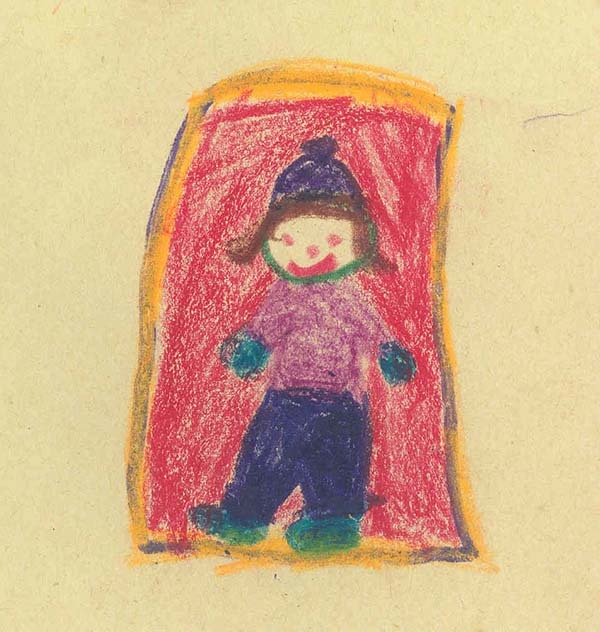 But, folk artists create strong, well designed artwork, so art training isn’t always necessary. Being original could have more to do with self-confidence and a willingness to experiment than education. Of course, it’s never too late to grow artistically, it’s just easier to learn the vocabulary when you’re young. It was a pleasure to meet so many students who are serious about what they are working on. I love how funky and fragile they are at the same time. 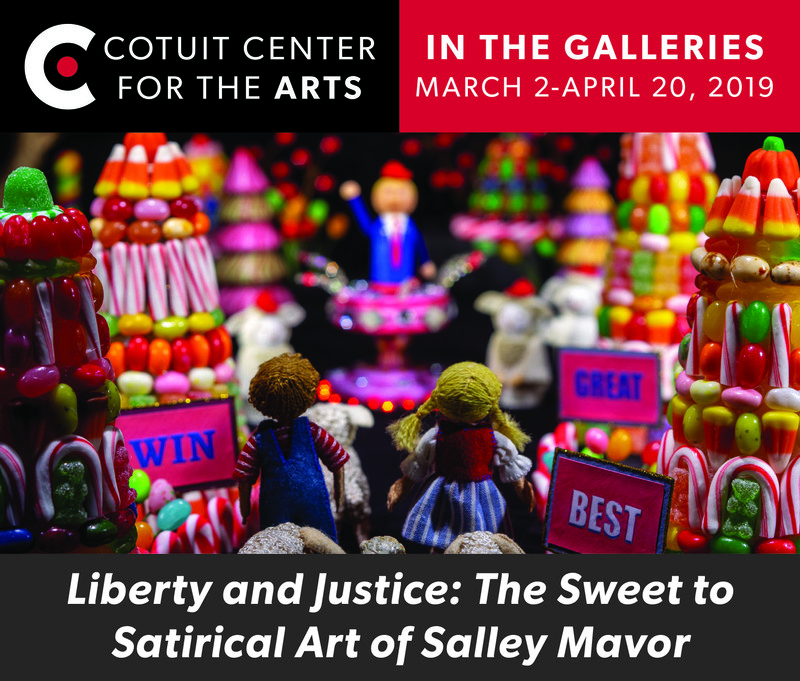 Their teacher, Jamie Hogan followed up with an e-mail, saying that “the Salley effect is rippling through the department!” She told about one senior who had an epiphany after my talk. She remembered that she really liked to do sculpture, but had gotten wrapped up in trying to paint realistically. Now she’s going to return to making 3D things, and somehow combining them with painting and air brushing, and she’s filled with a new enthusiasm. Thank you, Jamie, for passing this on. Hearing the students’ reactions makes it all worthwhile! 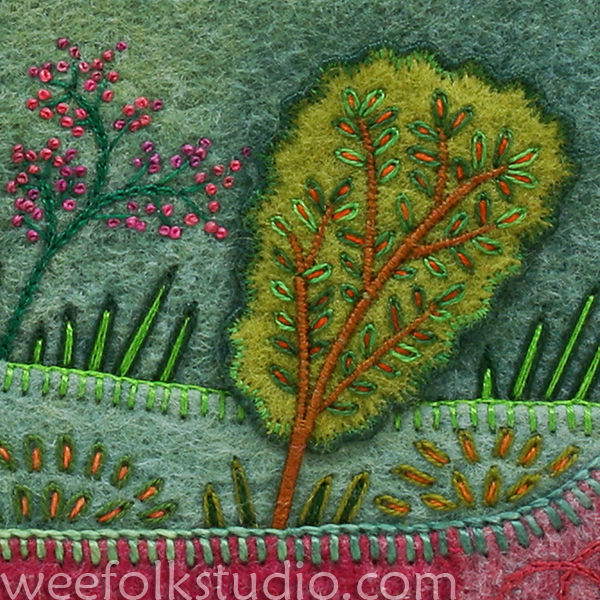 By the way, a spot has opened up in my Felt Banner Workshop on Oct. 27th. Intermediate to experienced stitchers are welcome to sign up. Check it out here. Autographed copies of Pocketful of Posies are available from my Esty Shop. 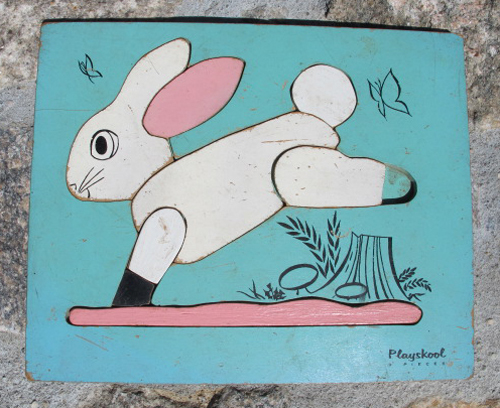 This rabbit Playskool puzzle has been in our family since the 50’s. It’s lost several pieces over the years, but replacements are easily made with a jig saw. 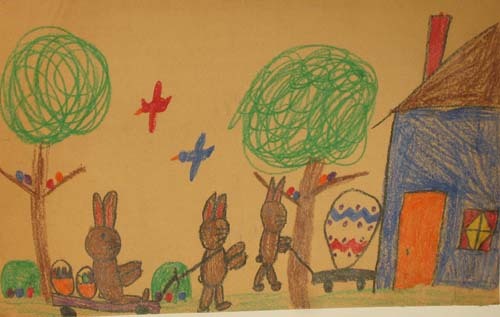 My mother kept this crayon drawing I did at about age 8, of Easter bunnies hauling eggs in wagons. Happy Easter! 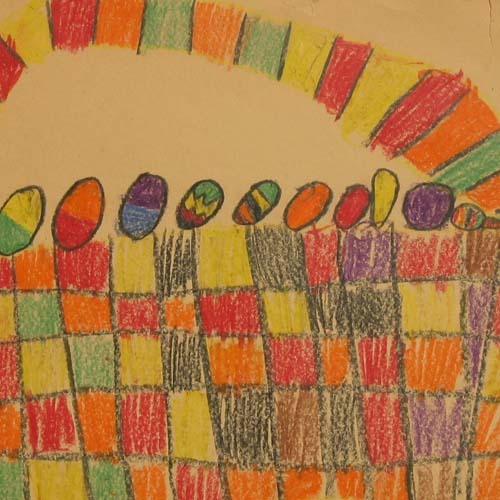 I love baskets and have included all kinds in my artwork since the beginning, like this Easter basket crayon drawing from my childhood. 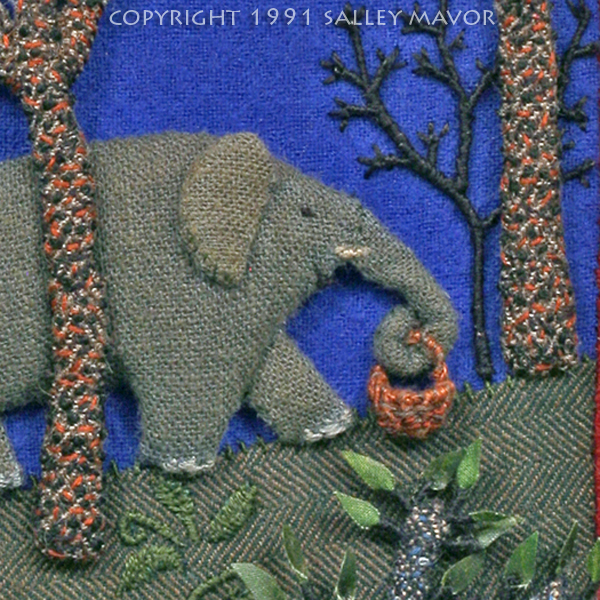 The elephant mother in my first picture book, The Way Home (1991), needed a way to carry bananas, so I made tiny (1/2″) wire baskets, wound in embroidery floss. Read my story about the making of The Way Home here. 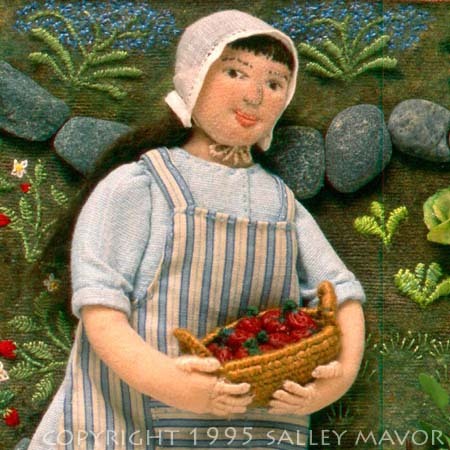 Here is Mary, from Mary Had a Little Lamb, holding a basket of clay strawberries. 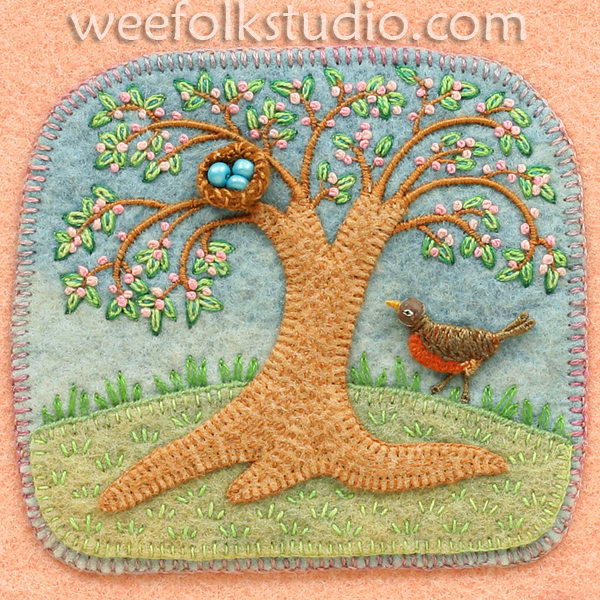 This basket is also made with thread wrapped wire, but a little bigger at 1 1/4″. Real stones are glued in the garden. 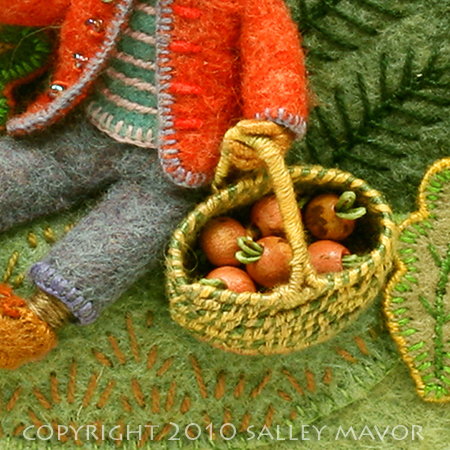 This egg basket appears in Pocketful of Posies, in the illustration for the rhyme, Higgety, pickety, my black hen. It’s made by coiling and wrapping wire with embroidery floss. You can see glimpses of the green florist wire through the thread. I can’t for the life of me remember how I did the pattern on the top and bottom. The original is about 2 inches long and filled with 1/2 inch wooden eggs. 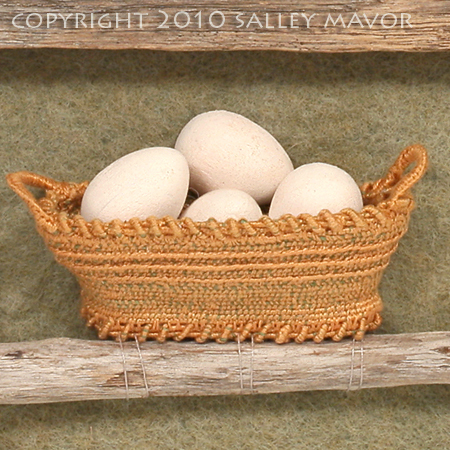 Also from Pocketful of Posies, Daffy Down Dilly’s 3/4″ basket is made the same way. This detail from Jerry Hall is enlarged quite a bit, with the original basket being less than 1″. I’m a hopeless homebody and have been putting cottages and other cozy shelters in my artwork forever. 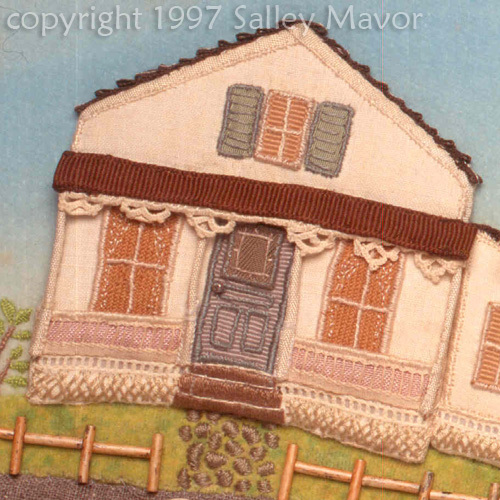 This first yellow house is from the back cover of the first edition of Mary Had a Little Lamb. 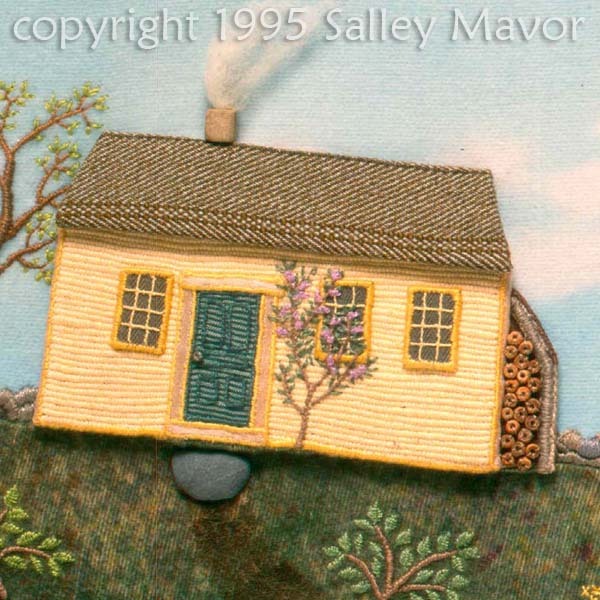 The board book version shows a portion of the picture that doesn’t include the house. 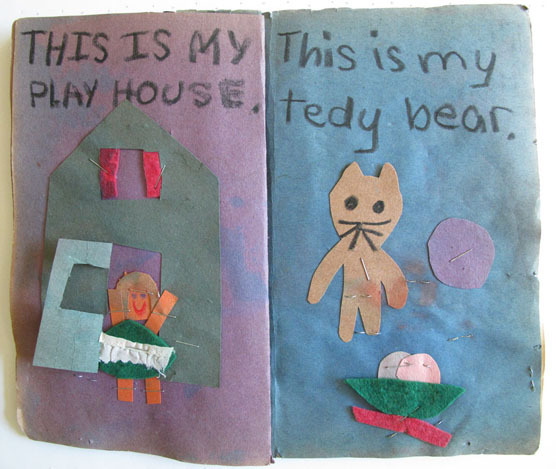 This one from You and Me: Poems of Friendship has a ribbon porch roof decorated with tatting. 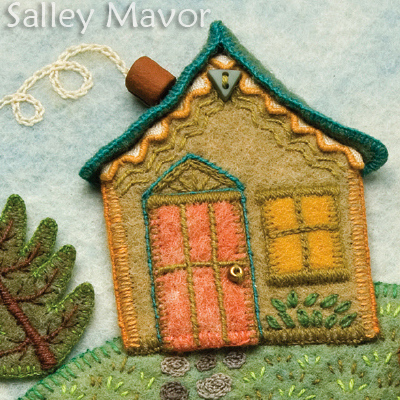 I used cloth-covered wire to make the gingerbread edging along the roof line in this cottage from The Hollyhock Wall. Looking more closely, there is a lot of cloth wrapped wire in this scene: tree branches, hollyhock stems wicker furniture and straw hats. The dolls are about 1 1/4″ tall. This is the Russian grandfather’s house from Peter and the Wolf. See the whole illustration in an earlier story about the CD here. 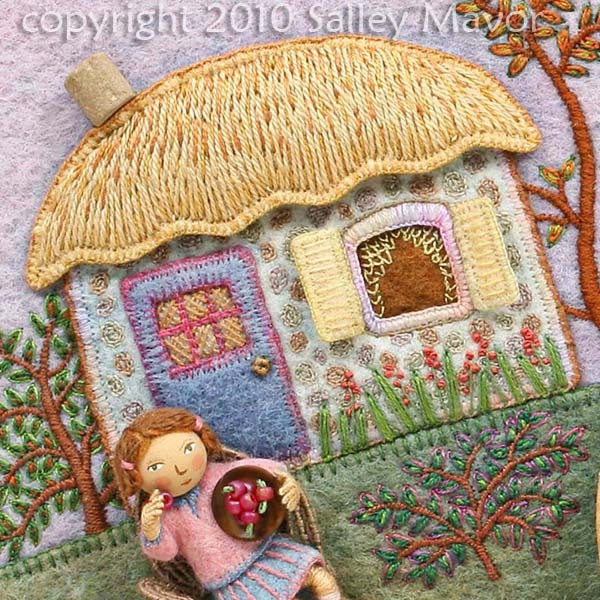 This quintessential thatched cottage is from the rhyme, “One, two, three, four, Mary’s at the cottage door”, which is in my new book, Pocketful of Posies. 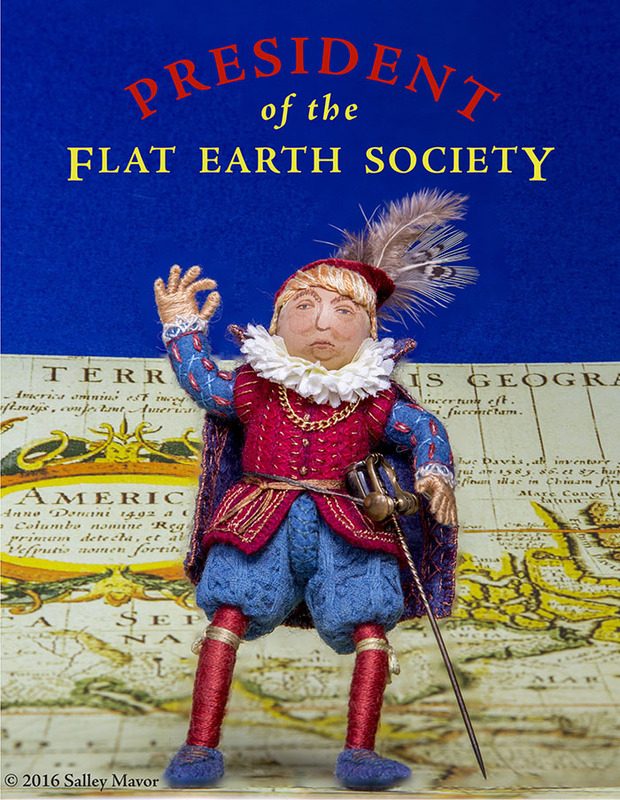 Find out about the book and the traveling exhibit of original artwork here. Also, see the whole double page spread in another post here.